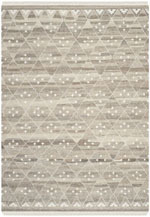 Whether your space is large or small, a 4’ to 8’ area rug can be just what you’re looking for. 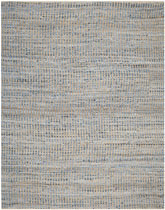 These rugs are a little bit larger than some of the smallest rugs on the market, but they don’t reach “full size” in terms of most area rugs, either. 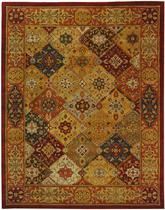 They can help you achieve the look of a traditionally decorated room without having the large amount of space needed to use a classic oriental area rug in your design, and they can also give you a lot to work with if you’re trying to create a contemporary space. 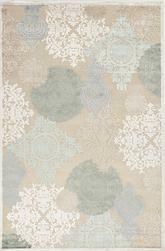 Best of all, they’re available in all sorts of shapes, colors, and materials to help you get started. 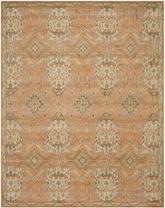 These slightly larger—but still not too large—area rugs have a lot of great uses in a living room. 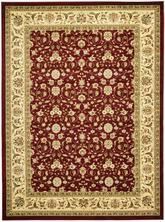 If your living room is very large but you don’t want to commit to a bigger 10’x12’ rug, choose a 4’x7’ or 4’x8’ rug instead and use it as an accent piece. 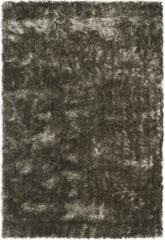 A 4’ x 6’ shag rug in any solid color to match your furnishings can look amazing underneath your coffee table, but you can also use it in front of your fireplace. 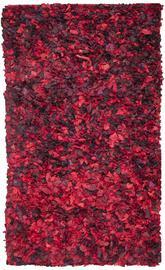 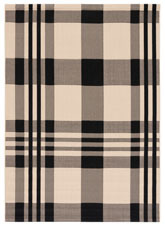 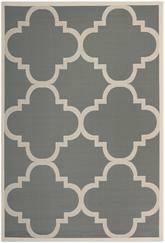 If you plan to use your accent rug in front of a fireplace, however, choose a 4’ x 6’ outdoor area rug instead. 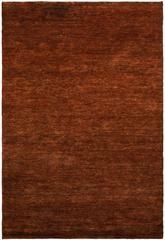 This way, it will be more durable and more likely to be fire resistant, too. 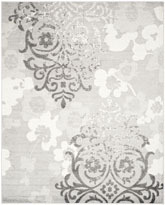 If your space is just a little bit bigger, a 6’x8’ or 7’x9’ area rug can be a beautiful addition to your sitting area. 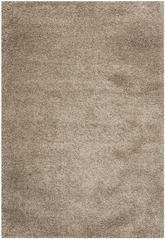 On the other hand, the same rug can work as a full-size area rug in a smaller apartment style living room. 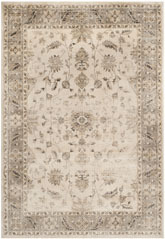 The rug you choose all depends on the space you have to work with and the type of style you’re going for in your living room. 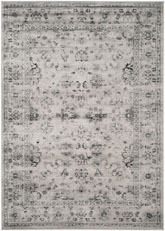 Just remember that using a rug this size in a smaller space is going to make the room feel a little more weighted. 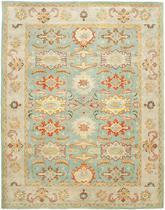 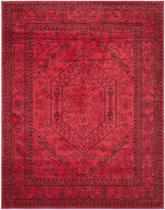 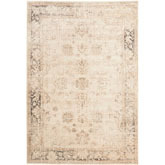 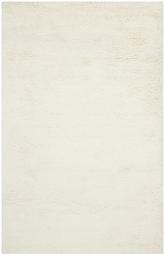 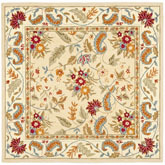 This size range is perfect for rugs you plan to use in your dining room. 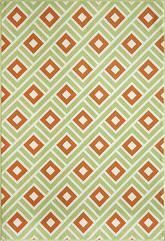 Even if you live in a smaller space, like an apartment or an older home that doesn’t have a big, dedicated dining room, a 4’ x 7’ or 4’ x 10’ area rug can go a long way toward filling up the space around and beneath your table. 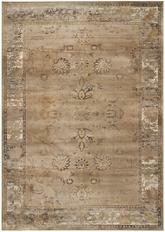 Choose one of these two sizes or something in between if you’re looking for a traditional or transitional style. 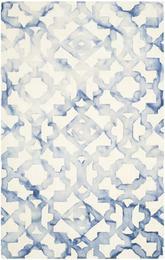 Be sure to stick to floral and geometric prints for a room like this. 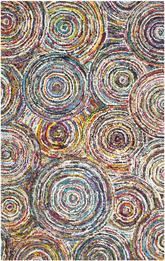 On the other hand, if your dining room is a little more modern, a 7 foot round rug can be the perfect solution to your designing needs. 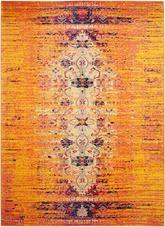 Choose a bright yellow, orange, or red round shag or a braided rug for a beautiful and incredibly contemporary look that can work well with a variety of different colors in your furniture and curtains. 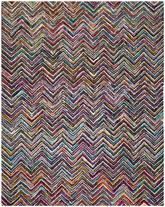 If you’re trying to decorate an apartment or another small space like this, opt for a 4 foot round rug instead, but stick to the same style principles. 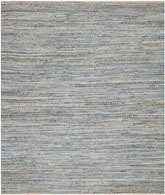 A modern dining room is very easy to achieve when you use rugs in this size range. 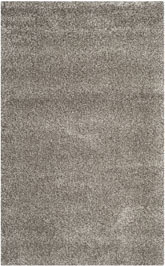 This is the perfect rug size for your kitchen, too. 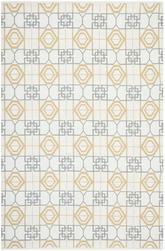 5’x7’ area rugs are very popular in kitchens, and they can help give you a little bit of a break in your kitchen’s floor space without overcrowding the area and giving you something else you have to worry about keeping clean. 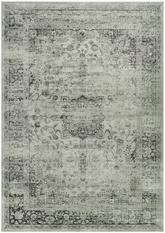 If your kitchen is a little smaller, a 4’ x 4’ rug near your sink or another area where you have to stand often can be a great addition to a little space. 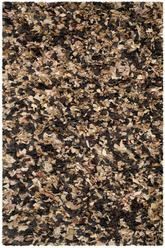 On the other hand, a 5’ x 7’ grey outdoor rug at the entrance to your kitchen can give you a lot of room to work with while providing you a buffer for any spills that might make their way from the kitchen to the rest of the house. 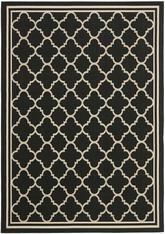 Outdoor rugs are great for kitchen use since they’re made of synthetic blend fibers and designed to be easy to clean. 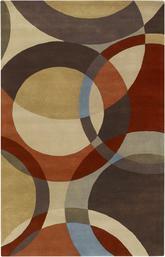 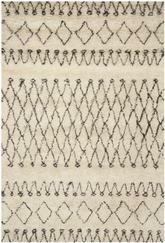 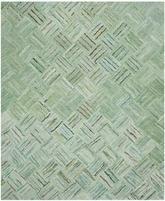 Do you want to use your rug for a solely stylistic purpose instead of for something more focused on function? 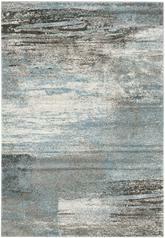 If so, try a 6 foot round rug to finish off your kitchen space beautifully. 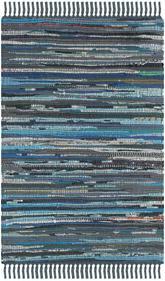 Pick a blue, jade green, or teal rug, and you’ll be able to work with this color throughout the rest of your kitchen’s décor. 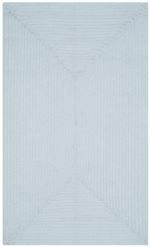 Stay away from anything lighter than pale blue so stains won’t be too visible. 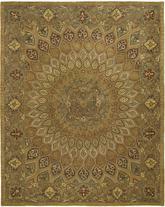 Can 4’ to 8’ Rugs be Used in Bedrooms? 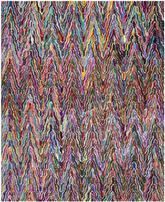 In an adult’s bedroom, 4’ x 5’ rugs are a great way to add a splash of color and spice up the look of the room without overdoing it. 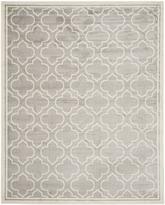 Spread a wool rug between your bed and dresser for a soft and comfortable place to step on a cold morning, or go a little bit larger with a 4’ x 6’ wool area rug to create an elegant design instead. 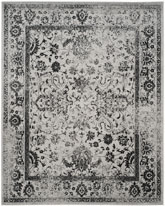 Pick a simple pattern with flowers and vines to make your space beautiful and intricate without overloading the visual weight of the rug too much. 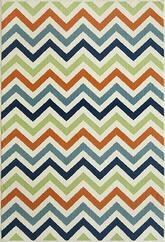 In a kids’ room, you can get away with using these rugs for just about anything! 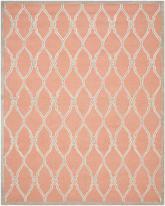 Use a 5’ x 7’ pink or blue shag rug in a baby’s nursery to provide a soft place on the floor for your baby to practice important milestones like rolling over and crawling for the first time. 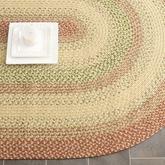 In an older child’s room, a 5’ round rug makes a lovely place to play the day away. 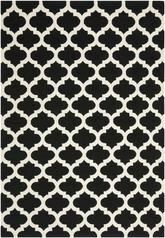 No matter which part of your home you’re looking to decorate, an area rug between 4’ and 8’ in width can be a great starting point. 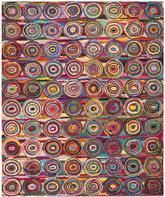 You can make a rug like this the focal point of your room, or you can use it to help accent other pieces, like a sofa, fireplace, or beautiful bedspread that can take center stage. 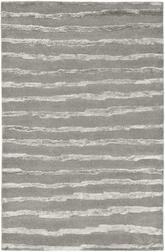 You can even use 4’ x 6’ bathroom area rugs to carry this look over into all the rooms in your home—even the restroom! 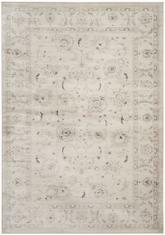 Although these rugs might not be as large and elaborate as some of the more traditional hand tufted rugs on the market, they still have their place in beautifully appointed rooms.